With an average of 3 percent in presidential polls, Republican candidate Chris Christie was this close to being off our TV screens and pretty much out of the race. Alas, the New Jersey governor somehow scrapped together the numbers to meet the participation requirement for Wednesday's GOP debate and get on stage with Trump, Rubio, and the rest of the gang. But the fact that Christie has made it this far is beyond disappointing. As a New Jersey native, I find Christie a sore sight for already-sore eyes. And though the country will have to put up with the governor for at least one more presidential debate, there are so many reasons why the third GOP debate should be Chris Christie's last. Having spent significant time in recent months campaigning in New Hampshire, Christie has basically been M.I.A. in the state he still governs an average of five out of every nine days this year. He's been so absent that New Jerseyans appear to be done with Christie: in a poll taken during the first week of October, two-thirds of New Jersey residents surveyed said Christie should drop out of the presidential race. This wasn't just Democratic fervor, either: 54 percent of Republicans who were surveyed said Christie should end his campaign. Let's hone in on one group that has not shied away in its disapproval of the governor: Christie has long had — to put it lightly — an embattled relationship with public school teachers across the state. In a 2010 interview with 60 Minutes during his first year as New Jersey governor, Christie told correspondent Steve Kroft that there was no other alternative in an attempt to alleviate state debt than to cut funding for K-12 education. Relations definitely did not improve in the years since. In 2013, Christie said he would happily take money away from some schools that he regarded as "failure factories." And just this past August, the governor told CNN's Jake Tapper that the country's second-largest teachers' union deserved a punch in the face. Christie has always framed his strained relationship with public educators, who don't agree with his plan for reforming pension and benefits plans, as a necessity in the best interest of the state. It's also worth noting that there's a clear bias on the part of the educators, who have faced education cuts totaling $1 billion since Christie's been in office. But the number of educators across the state is not small — over 110,000 classroom teachers in the 2013-2014 year — and they're likely looking to see Christie's numbers dwindle even further, too. 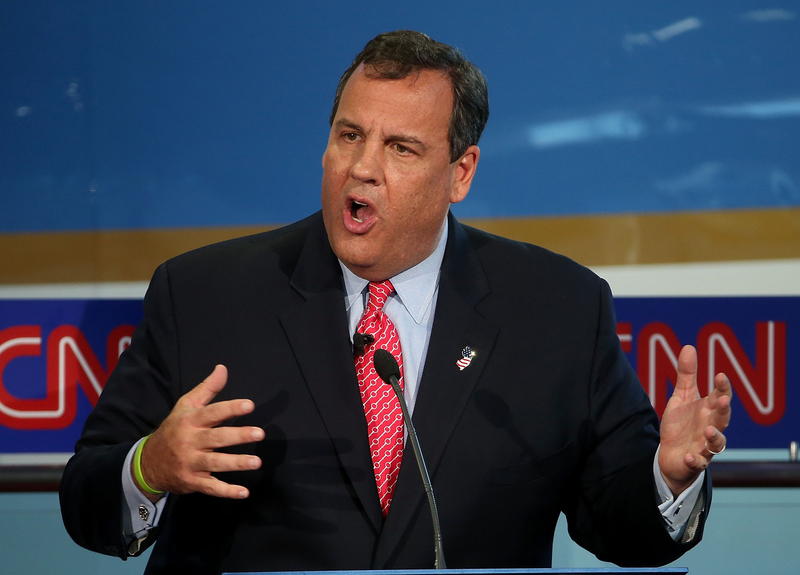 So, here's hoping Wednesday's GOP debate will mark the end of Christie's unloved presidential campaign.